Hey there! We are back to our usual schedule. Today I am sharing with you the Copic Airbrush System. Enjoy! What do you think? Is this something you must have? Are you even interested in it? 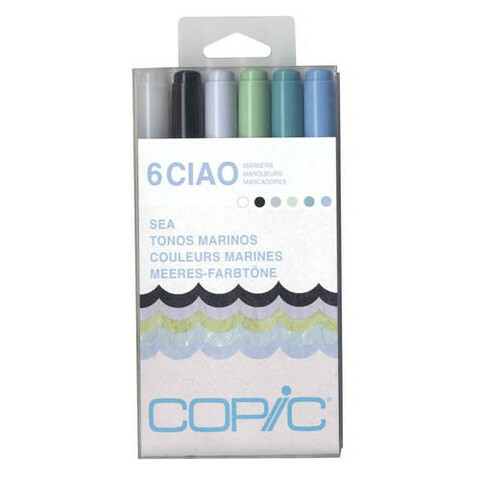 Leave a comment by midnight EST on Wednesday to be entered to win 6 Ciao Markers from Copic! U.S. Residents only. Please leave a way to contact you if you win! Good luck!! Cool! I have never seen the airbrush tool in action! Looks fun! Thanks for the chance to win! Wow! These do some amazing things! Loving them! I would love to see this in real life! I think if one used this system often and comparing the price and time allowance of the cans vs the cost of the compressor, it would be worth investing in the compressor too. I know I would use the Copic Airbrush System a lot, therefore it's on my wish list for now. This is such a neat tool! I'm curious if it works only with copics, or if you can use other markers too? I would like to used this because it looks smoother than the sprays I have. I like that effect, too, but this is nice for many applications. It looks like a fun tool, love the look. I have been very curious about this item for some time now! On my wish list for someday I think! I really like coloring with my Copics. I have looked at the airbrush at Michael's but still am on the fence about buying it. I think it does backgrounds nice and does blend the colors more easily. But I am curious...does it use a lot of ink? I think it looks really neat. But I don't have any Copics (yet!) and so I'd probably want to see how much I used the markers themselves before investing in more equipment. That being said, gadgets are always fun, and if you have them, usually you try to use them! Wow...I would have thought the price would have been a lot higher. I don't have any copics, but would LOVE to play around with something like this to see if it's worth the investment! I love using Copics. I have maybe 5 different companies' alcohol markers, and Copics are my favorites by far. 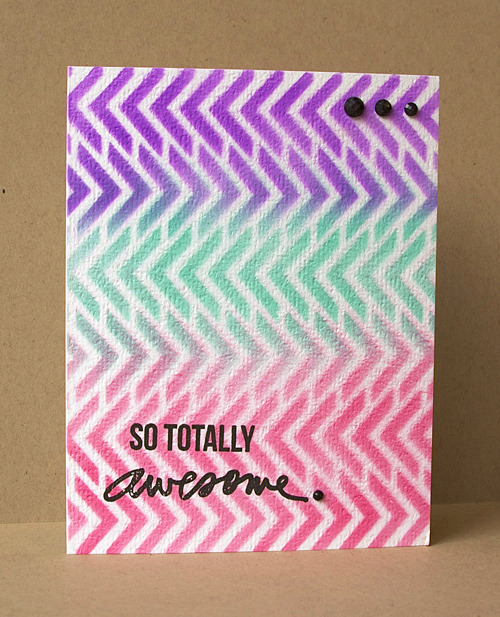 I would like to try this system because it would add a new dimension to my card making. I like the thin mist. That is so totally awesome! Love your cards, especially the 2nd one. I'm totally into the color. Would love to try these out! I don't even own copics, but I am getting more interested in them when I see them in action. Thanks for the chance to win some. I do not have any but have heard many good things. his makes me want to try them. My daughter has a collection of copics, would love to surprise her with this!! Thanks for the chance! I've never even heard of this tool but what an awesome effect! LOVE it!! I'm not sure I'd be brave enough to try it quite yet...because I don't even have Copics yet!Thanks for the chance to win! Wow, this looks like such fun and it gives a beautiful result. I would love to try the airbrush tool and thanks for the chance to win some Copics! I have one and I think it's fun and easy to use. 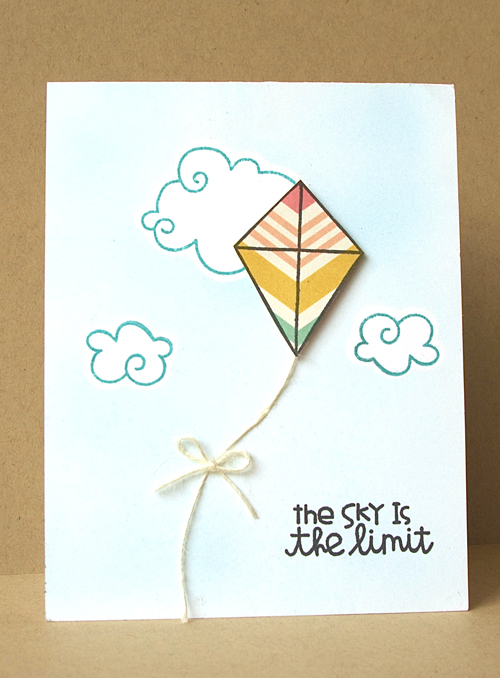 I haven't tried it with stencils before love your projects! Wow, those cards turned out beautiful! Thanks for sharing.